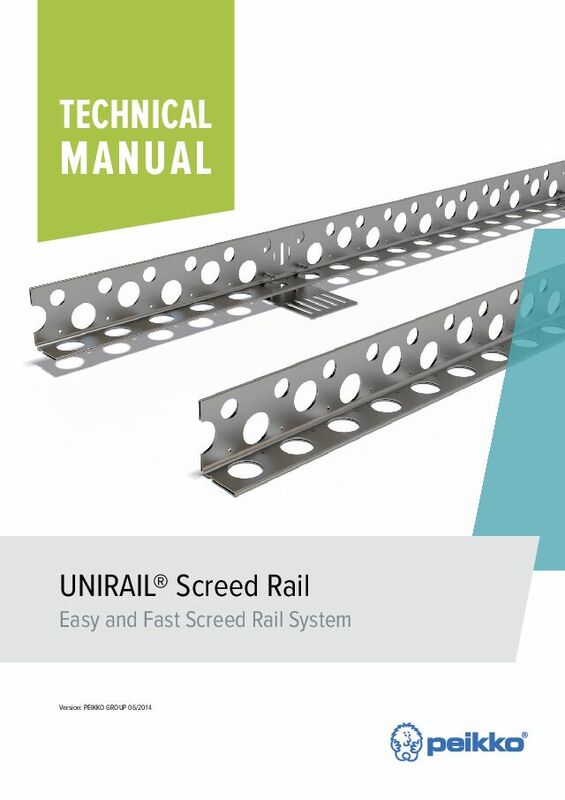 UNIRAIL® is a cost-efficient screed rail system produced by precision forming from galvanized high-strength steel, providing excellent dimensional tolerances and stability during screeding operations. The system is suitable for internal and external applications. 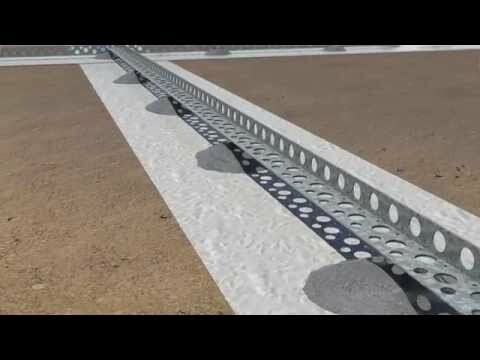 A versatile, prefabricated leave-in-place UNIRAIL® Screed Rail system enables easy installation of super flat screeds. The system ensures the straightness and flatness tolerances of screeds with depths from 40 mm to 120 mm and enables construction of super flat screeds. It is an easy-to-use, fast track installation system. With the addition of a plastic top extender, a stable base can be provided for running any type of screeding mechanism. UNIRAIL® is manufactured from galvanized high-strength steel, suitable for internal and external use. 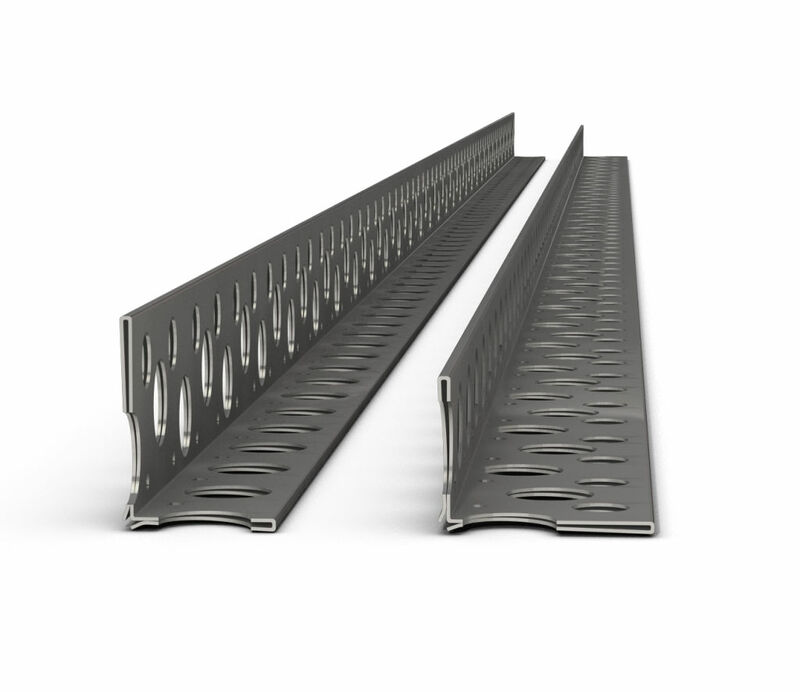 Tie bars, service cables or heating pipes can be fitted through the apertures in the rails. 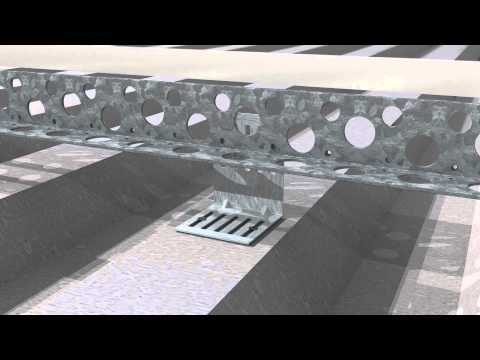 The system provides a full-strength perpendicular face to the edge of the slab in full depth without voids or cavities.